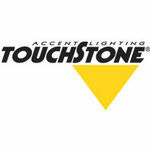 Touchstone Accent Lighting creates beautiful, in-direct outdoor lighting effects. They have a complete line of premium LED landscape lighting fixtures that are designed to be inconspicuous during the day and accent your property with beautiful warm in-direct lighting. They are specialists in low-voltage outdoor lighting for residential and commercial landscapes, home architecture, gardens, decks, fences, water features and waterfront/marine areas.